When one of your own gets married it's a joyous occasion. So when Sam & Rachel decided to get married and not to do everything the traditional way it was rather exciting. They didn't want a lot of fanfare or hoopla. They just wanted to get married, quietly & quaintly. It was a lovely little ceremony without a lot of formality. There was just family in attendance, in a little patch of leaf covered earth under lights & trees, down by the family pond. 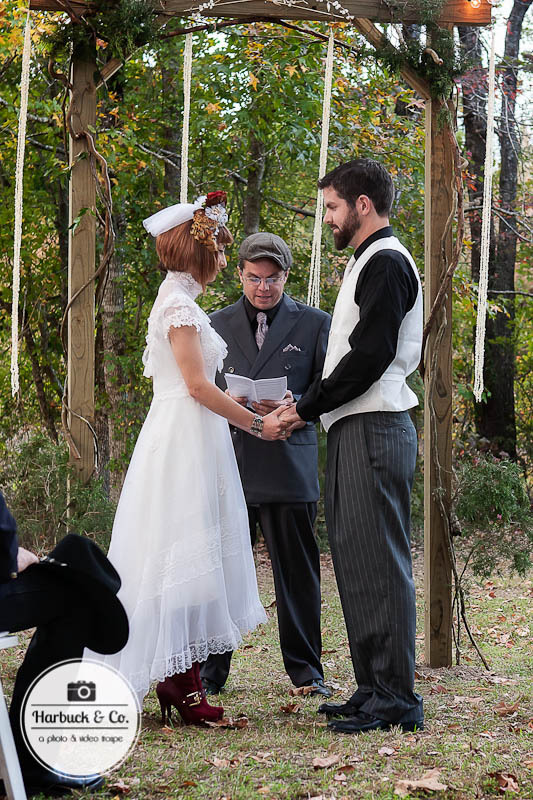 It was a beautiful fall setting in which to get married. So here are a few photos from that special day.